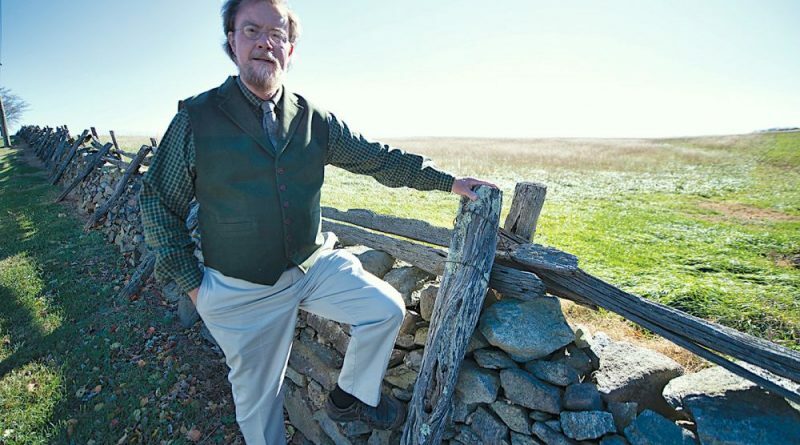 To anyone familiar with Richard L. Gillespie’s depth of knowledge and passion for reliving local history, the news that he will be “retiring” for a third time in his career at the end of the year ccomes as no surprise. When he steps down Dec. 31 as executive director of the Mosby Heritage Area Association, Gillespie can look back on a career in Loudoun that has spanned a 30-year social studies teaching stint at Loudoun Valley High School, serving as education director at Morven Park and 11 years as, first, education director, then executive director at MHAA. It also comes as no surprise that, while stepping down as executive director, Gillespie will by no means be really retired. He will take on the role of senior statesman, becoming “historian emeritus” at MHAA, while its current director of administration, Jennifer Moore, will become executive director. Gillespie will be part time Jan. 1 through March, and then serve as needed. It also will give the nonprofit the benefit of a smooth transition as Moore takes over the top staff job on Jan. 1, as well as increased development responsibilities, and for Education Specialist Kevin Pawlak to become education director. In April, the organization plans to hire its first public programs coordinator, who will be responsible for special events as well as public presentations. The compliments came hard and fast from MHAA board members as to Gillespie’s value to the organization. And MHAA will have the best of both worlds, Burden said, as Gillespie will continue to help out with specific programming, such as the Gray Ghost Interpretive Group and new program ideas. The move to a new role at MHAA is a heartening one, Gillespie said, recalling that he felt depressed when he retired from teaching. An ebullient personality, Gillespie missed the give and take with his students, and they missed him when he retired in 2004. What he learned from those 30 years lies at the heart of his mission at the MHAA. Moore, who took American History with Gillespie in 1998 at Loudoun Valley, said as a teacher his ability to “care about you as a person, to know when things weren’t right with you,” set him apart. 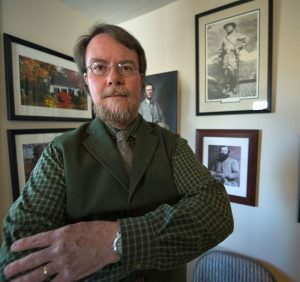 His ability to gauge his students’ interest in history lay in inspiring them to “step out into the historic sites, seeing where those individuals lived and seeing the actual battlefields, rather than looking at pictures,” and that made it real, Moore said. Noting that most teenagers are interested in human drama, Gillespie’s ability to make his students see that those who wrote long-ago dairies or letters were “just like us. That made it possible for me to understand and digest history,” she said. 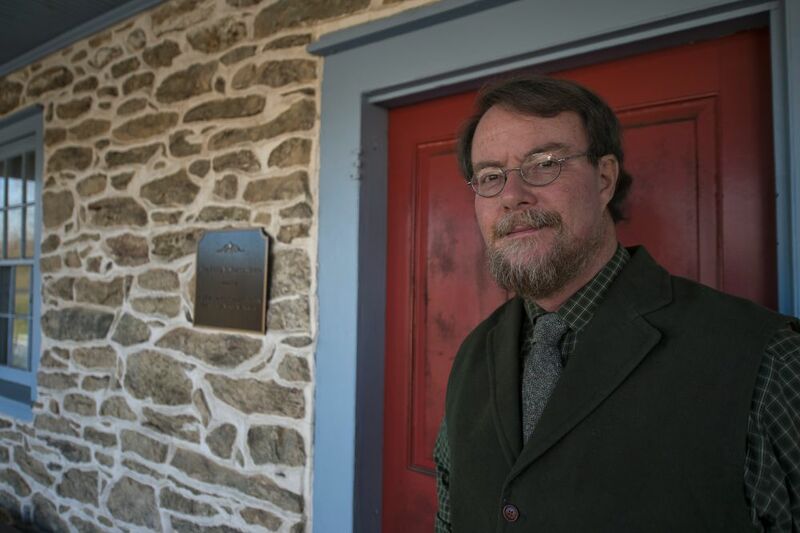 After teaching teenagers about history, Gillespie tried his hand with adults, at Morven Park, where he worked under two executive directors, Will O’Keefe and Frank Milligan. He also joined the advisory board at the Mosby Heritage Area Association and became excited by the educational opportunities of the heritage association, whose focus was the preservation of the legacy of a widespread, five-county historic landscape. “MHAA’s was a special mission, one of stewardship. I was enthused about the landscape,” he recalled. He became MHAA’s first educator, in 2004, with the responsibility to establish an education program for the heritage area, to bring kids into the area, create a sense of stewardship and to recognize the worth of the resource. He recalled the days in the classroom when then-Loudoun Valley HS principal the late Kenneth Culbert worried that students had “no idea of the general landscape and buildings of the area” and asked him if he could do something about that. Out of that came the Western Loudoun Heritage Photography Project, that recognized what had been lost and what still remained. Gillespie recalled the impact of the project on students at a time when the county (1999) was at the peak of its growth. “To watch how young people respond … they really do care,” he said. The knowledge gained over 30 years of teaching young minds about their history, by “living it,” stood him in good stead, when Gillespie became full-time education director after two years. In early 2015, Gillespie stepped up to the executive directorship of MHAA. And the Mosby nonprofit has created a good model for learning its legacy and passing it on to present and future generations, forming multiple partnerships with others “who saw that what we were doing was important”—such as Journey Through Hallowed Ground, Goose Creek Friends, the Lovettsville Historical Society, and the Waterford Foundation. “We all have limited resources,” Gillespie said of the various partners, noting the need to pass on the message and to make sure every schoolchild in the area gets it. And they do get it. “Students bond—they get the message,” Gillespie said. MHAA’s school programs reached almost 5,000 students during the 2015-2016 academic year. And it’s not just those who were born in the heritage area who understand the importance of preserving the legacy of the area. New residents, such as Korean Americans or Chinese Americans—“they’re fascinated by where they live,” Gillespie said, and immediately set out to explore their environment. On the plus side, “I think our strength is an education team in place that can meet the challenge of continuing to adapt to changing demographics,” he said. And while the staff team is changing at MHAA, it has a “vigorous and very good board of directors that is very excited about the mission and plans to grow carefully and slowly,” using the twin tools of advocacy and education, Gillespie said. Merritt Jones has the last word on Gillespie’s value to the nonprofit. It was Jones, as the then-president, who first hired him in 2004. Calling Gillespie “a natural teacher,” Merritt said he marveled at his skills as he watched him teach history to fourth graders. For more information on MHAA programs, go to mosbyheritagearea.org.